Learn to locate information in your worksheet using Find. 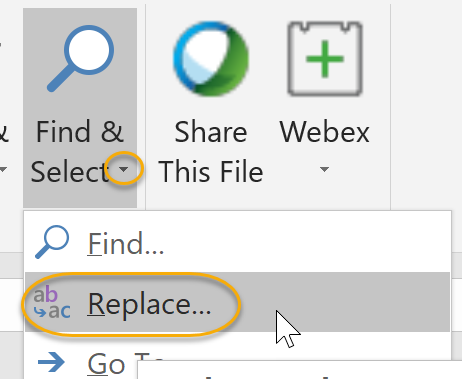 Learn to use Find and Replace to quickly replace data with other data. 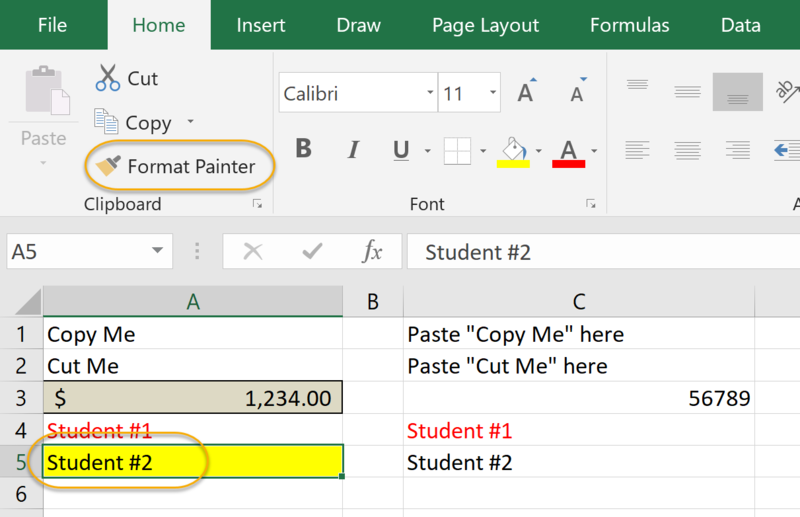 Learn to use the Cut, Copy, Paste and Format Painter commands to edit worksheets. Press Enter repeatedly to circle through the instances of the word or number you are searching for. In the Find and Replace dialog box that appears, enter both the word or number you wish to find and the word or number you wish to replace it with. Find All to see a list of the instances of the word or number in your worksheet. Close to discontinue the search. In this exercise you will find and replace text in a worksheet. 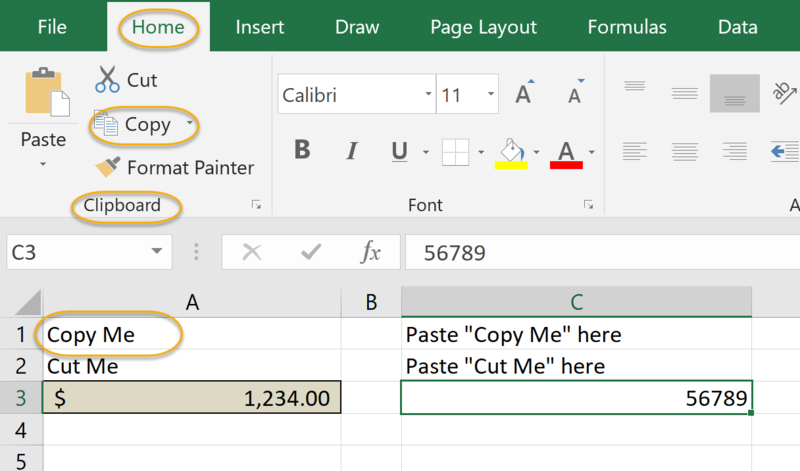 Continue working in the workbook from the last exercise or open Dave's Lemonade Stand - Using Find and Replace.xlsx from your Excel2019.1/Exercises folder. Use Find and Replace to change the word "Payroll" to "Employees". Cut. 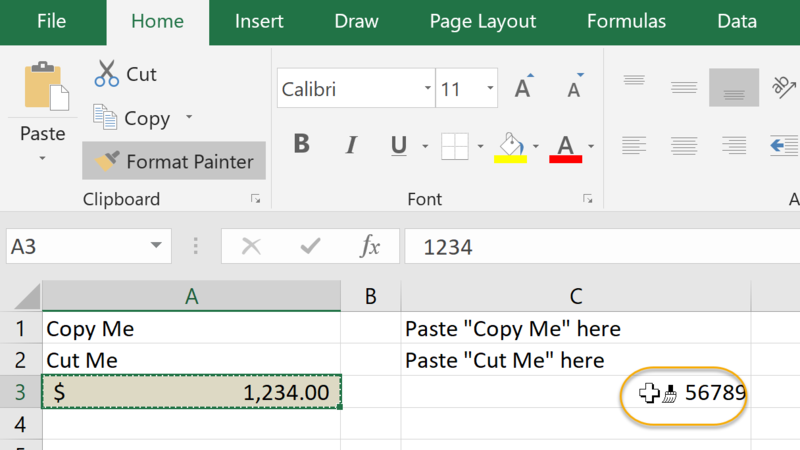 Use the Cut command to cut a selection from your document. 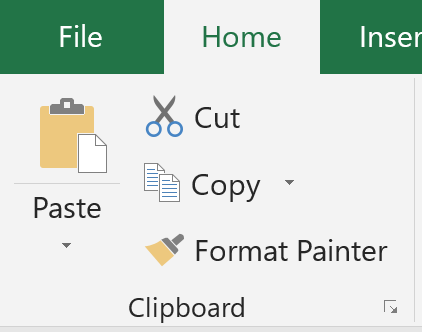 The cut selection is saved on the Clipboard for use elsewhere - either in the current workbook or another one (or even in a separate application like Microsoft Word). Copy. 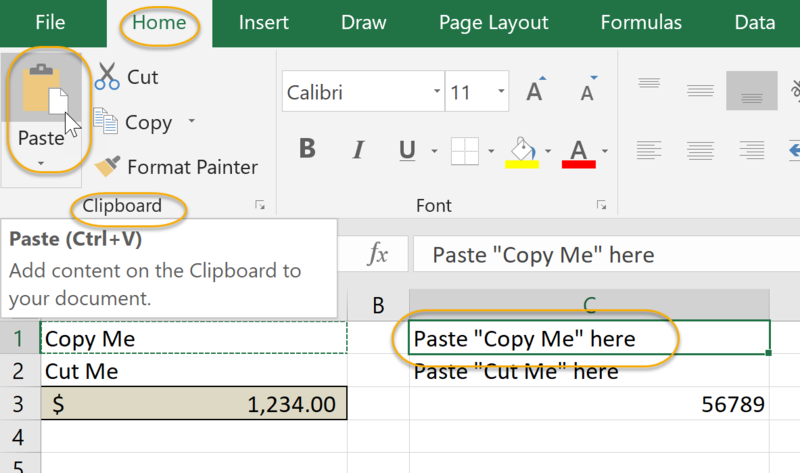 Use the Copy command to copy a selection to the Clipboard for use elsewhere - either in the current workbook or another one (or even in a separate application like Microsoft Word). Paste. 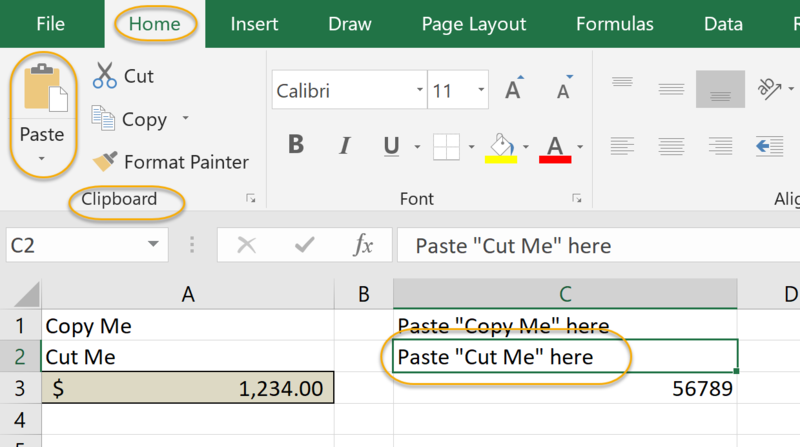 Use the Paste command to paste a selection from the Clipboard to the location in your workbook where you want it. Format Painter. 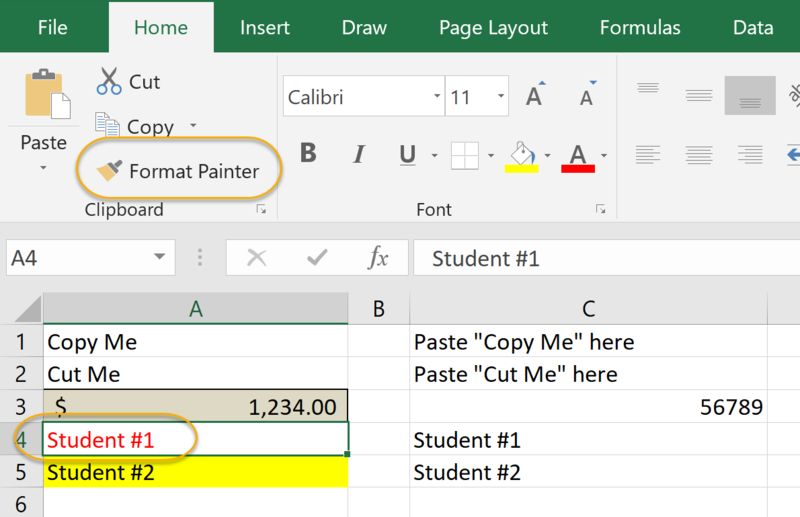 Use the Format Painter to copy the format from one section of your workbook and apply it to another section of your workbook. 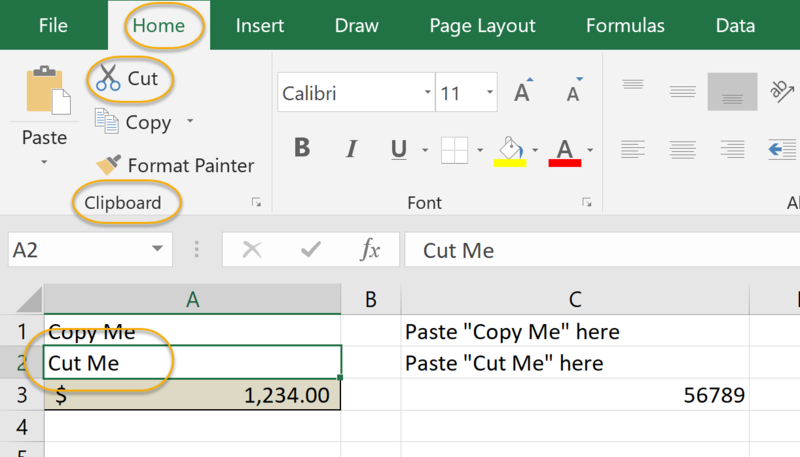 In this exercise, you will use the clipboard to cut, copy, paste and format cells. 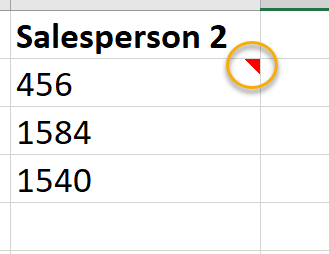 Open Clipboard exercise.xlsx from your Excel2019.1/Exercises folder. Copy cell A1 to cell C1. Cut cell A2 and paste it in cell C2. Copy the format of cell A3 to cell C3. In this exercise, you will use Format Painter. 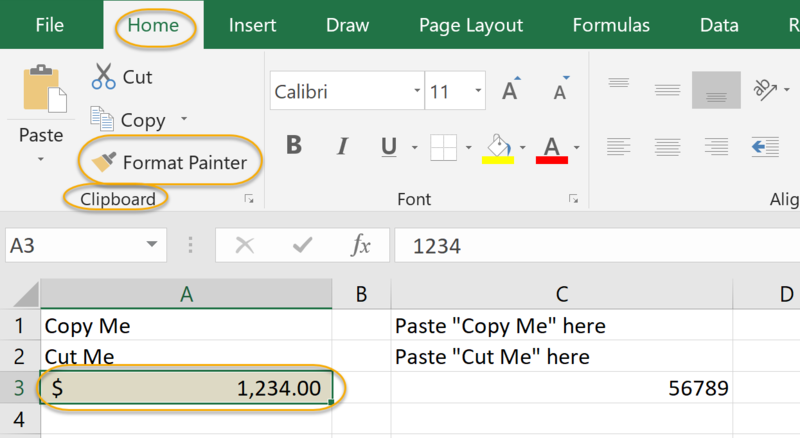 Open Clipboard Format Painter exercise.xlsx from your Excel2019.1/Exercises folder if it is not already open. Copy the text color of cell A4 to cell C4. Copy the background color of cell A5 to cell C5. 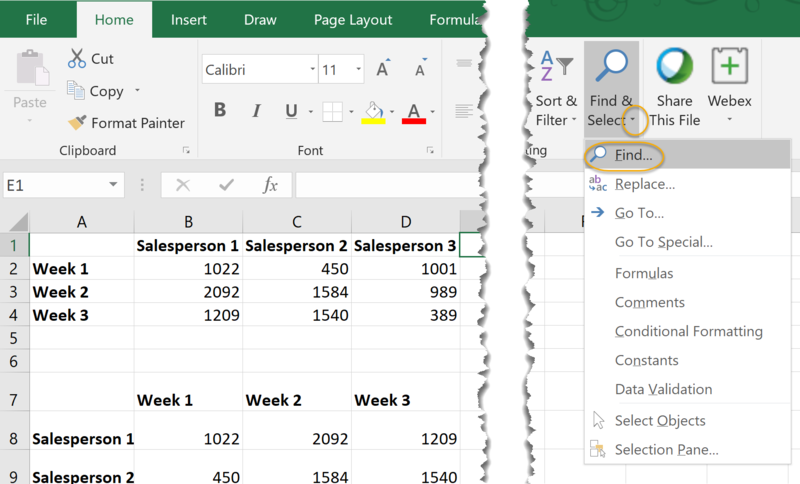 You can add comments to worksheets and manage them in Excel using the Comments group of the Review tab of the Ribbon. Click where you want to add the comment. From the Review tab, in the Comments group, select New Comment. You will notice that Excel alerts you to the fact that there is an inserted comment with a triangular icon. To move through the comments, select the Previous and Next options. To delete a comment that is selected, select Delete. To show or hide the text of a comment, select Show/Hide Comment. To show the text of all comments, select Show All Comments.